The bag is a bucket bag and is a bit of a Mary Poppins bag and can honestly fit everything that I need it to - and a bit of room for more! It also has an internal pocket which is great for anything that you may want to tuck away. I've wanted a bucket bag for quite a while and am so in love with this one! 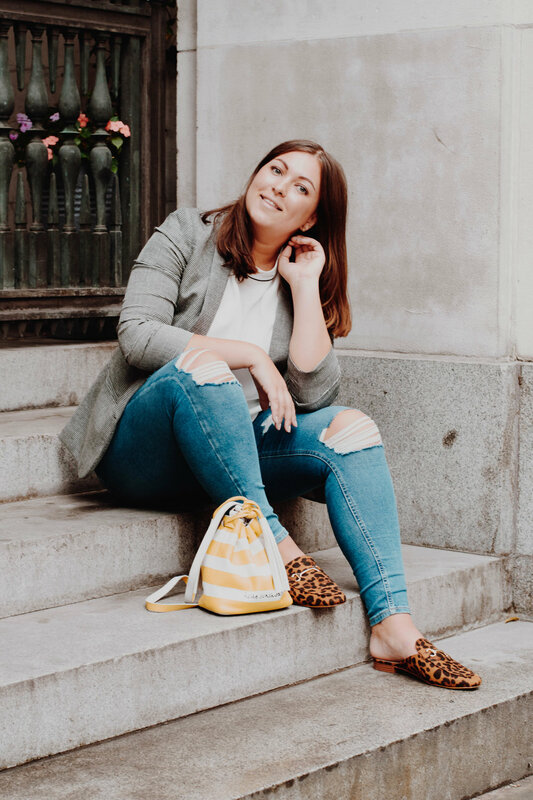 I think it works really well with the combination of a grey blazer and jeans, and of course my new leopard slides which are my new favourite shoe. 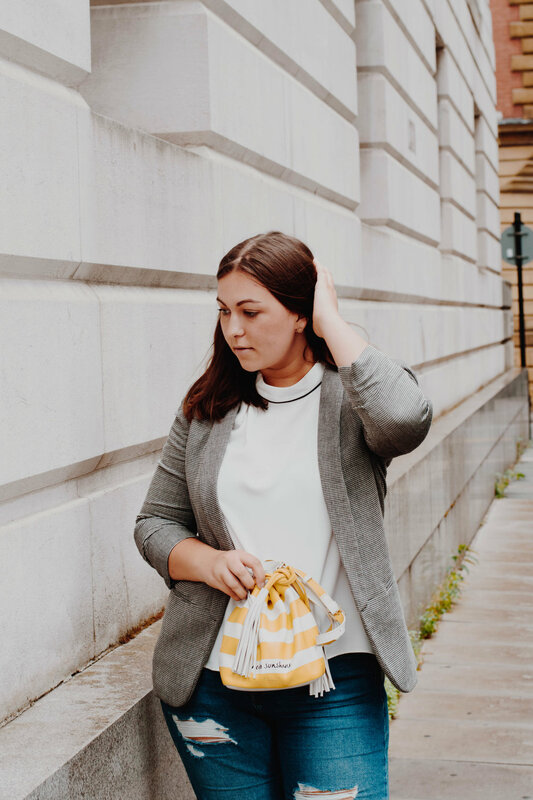 I love the fact that the bag says 'Hello Sunshine' and think it really makes it even more fun and feels slightly personalised - making it the perfect bag for a heatwave! I also think this bag would look incredible with a black slip dress or anything that didn't have too much going on, so the bag is ultimately the highlight of the outfit because who wouldn't this to be the focus? I styled it with a casual blazer, a white blouse and my all time favourite ripped jeans which really makes the outfit slightly even more casual than a usual blazer combo. How would you style this bag? What do you think of this bag? Is this something you'd love to style or a bit too far out of your comfort zone?